And now, a few things you may not know about Anne.. There are multiple settings in Souls Entwined since my characters do a little time traveling. Sam and Gretta meet in a wooded park similar to the one I like to take my kids to. 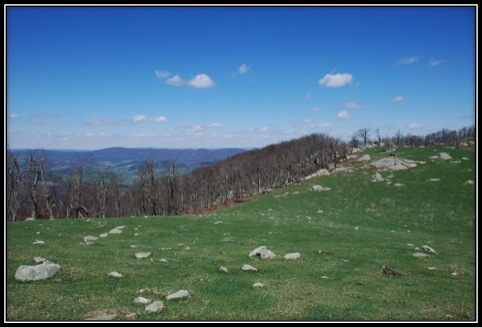 Field with granite rocks in Virginia. When Sam and Gretta return from the past they find themselves in a grassy field nestled into rolling mountains. 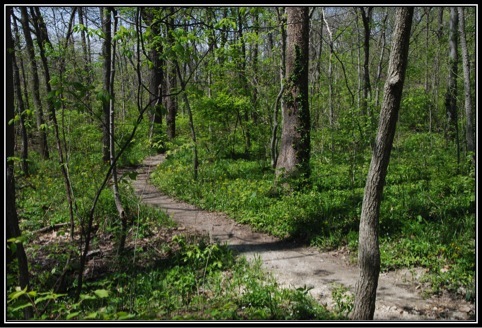 I chose my settings because I love the outdoors and enjoy taking pictures while hiking with my family. 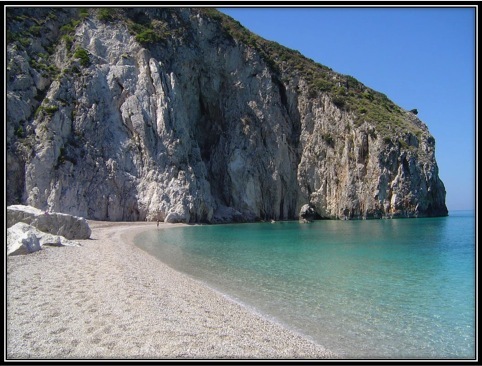 I’ve always wanted to go to the Greek Islands and someday I hope to vacation in Milos. As for the PIT… I’d rather not visit there! 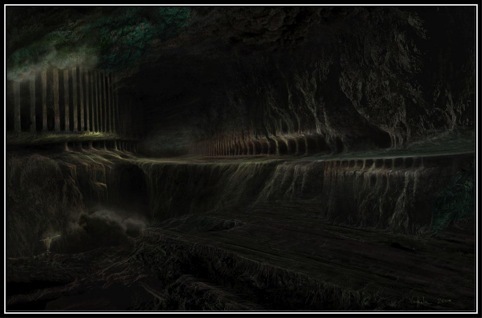 I have to agree…the pit looks soo creepy! We own three cats. Two are 6 years old and one is nearly 13. They love to sneak up on each other. Nita, our lap cat, enjoys watching the birds and squirrels at the window. Cookie Monster, whose likeness is portrayed as the cat in my story, is my writing buddy. She sits right beside me anytime I’m on my laptop. 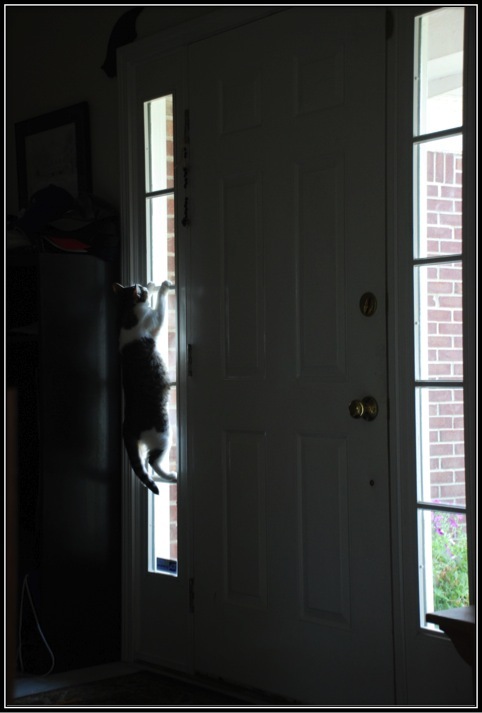 Although sometimes she thinks she is Spiderman and climbs the walls! 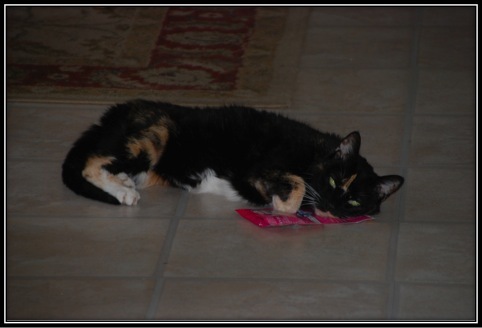 Saja, our 13 year old cat, loves her cat treats. Here she is napping on the bag of treats!She loves treats so much that she “hunts” for them. 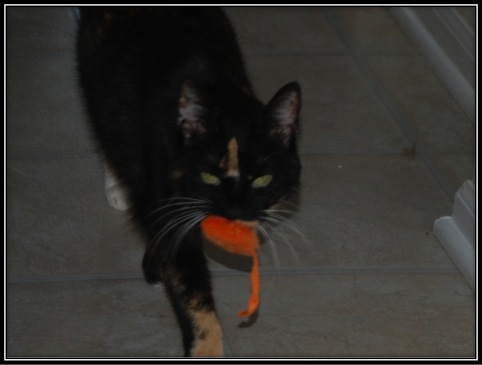 She finds one of her catnip mice and brings it to us. Whenever she “hunts” we give her a treat. Who says you can’t teach an old cat new tricks? 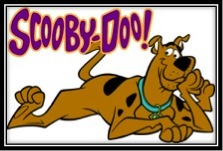 My favorite television show growing up was Scooby Doo. We had a black and white set at home and I was glued to it every Saturday morning to see what mystery the gang would solve! I enjoyed visiting both sets of grandparents when I was young. Despite the travel, we were able to see them often on weekends and both grandparents had color tvs…. Watching Scooby Doo in color was AWESOME! My own kids love Scooby Doo and we have a puzzle that I’ve done hundreds of times with them through the years. It looks like this. 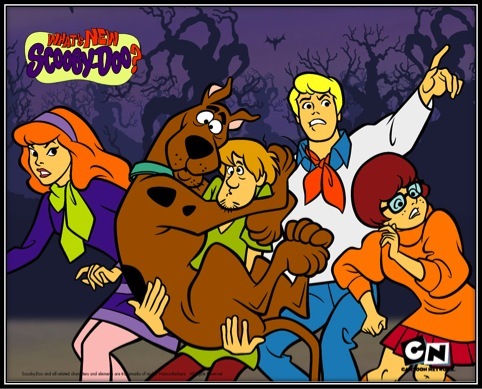 I can credit Scooby and the Gang for my love of suspense and mystery! Buy from Amazon, only $2.99! Previous PostWhat do the 80’s, dogs, and castles have in common?Next PostWhy Aint Juno in Alaska Anymore? Thanks Sophia for having me here today! You are so welcome…it’s been a blast having you! 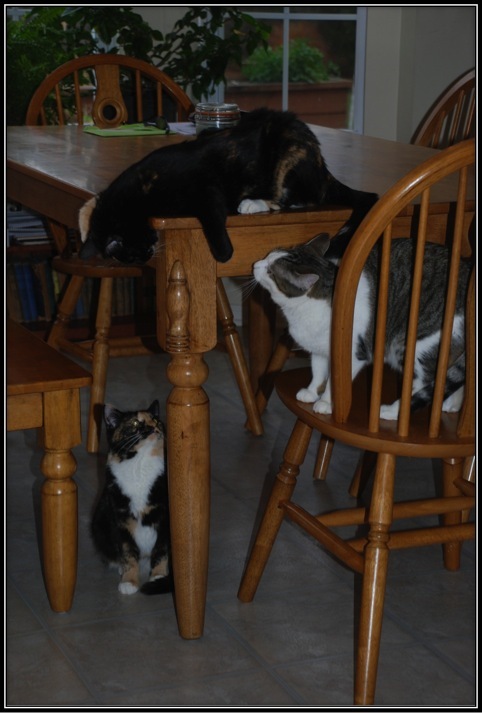 Another great blog, Sophia and Anne, loved all the cat pictures. Our pets are so unique. Thanks, Sarah! Monster is crawling over my lap top now! 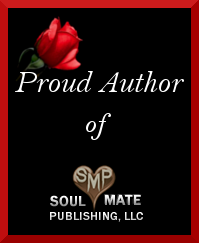 Sophia Kimble, author of Protect Her, always has such interesting blogs. Check this out. Aww, Thanks Ashley! 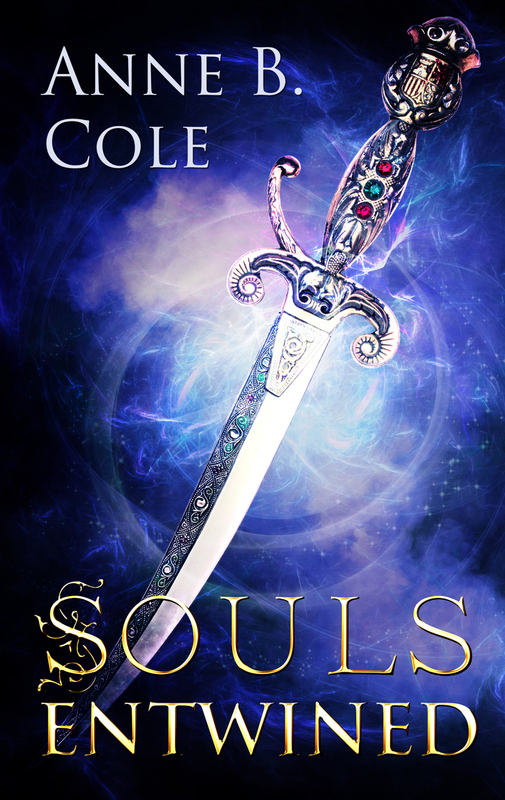 And be sure to pick up a copy of Ashely’s historical romances when you get Souls Entwined! Both authors rock! Thanks, Sophia! Can’t wait to read your book!